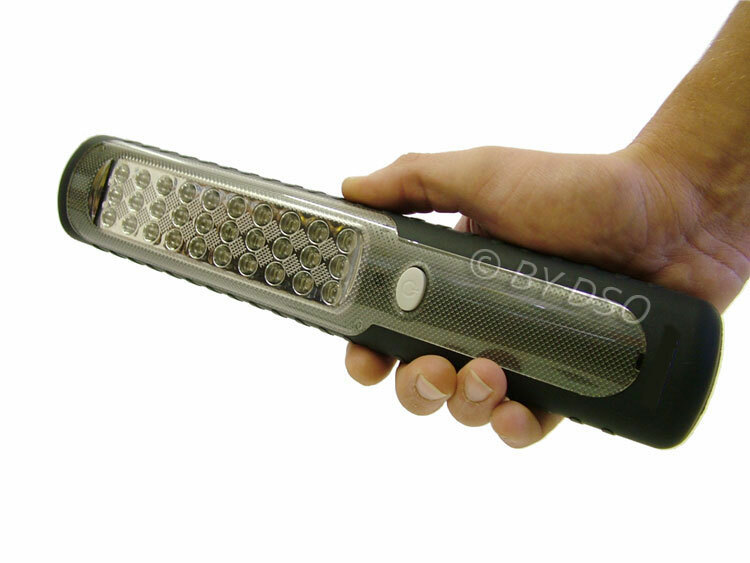 Probably the most versatile work light we have ever sold. A major and very unique feature is the dynamo windup recharge. 1 minute of windup will give you 5 minutes a full power 30 LED. As well dynamo it can be charged with a USB via a pc, a 12v cigaratte car charger in a car and 240v mains. What a versatile light. There are two lighting modes. First push of the on switch light the 6 centre LED's and the second turns on the full set of 30 super bright LED's. For a full charge allow approx 5 hours. On a full 30 LED setting the light will last for approx 4 hours and on the 6 LED setting will last for approx 10 hours. It has a hook on the top so can be hung from a bonnet catch or wiring loom. It also has a magnet at the back so can be attached to an inner wing or under a bonnet.